If you're old enough to remember the name "Troy Ruttman" and to have seen him drive at Indianapolis 500, well God bless you and I hope the Social Security checks are still coming. The rest of us have to rely on historians to inform us that way back in '52 Ruttman claimed the record as the youngest driver ever to win the Indianapolis 500 at 22 years and 80 days of age. In recent years Ruttman's record as the youngest driver ever to win at Indianapolis has come under a bit of a threat. Marco Andretti came with a few hundred yards of becoming a winner at 19, and later turned in competitive if not victorious effort when he was 21. Come May 24th, he'll get his fourth and final chance to take the title from Ruttman at 22 years and 72 days old, and it's a good chance given that Marco has finished in the Top 3 twice out of three tries at the Brickyard. But first Marco will have to get beyond two other young drivers who are not only entered in the race but like Marco qualified on the first day in the Top 11. This may not be the year that Ruttman's record goes down, but given the quality of (young) man and machine there's as good a chance as ever of it happening. The next obvious name taking on Ruttman will be Graham Rahal, who's only 20 years old and is actually starting the race ahead of Marco from the inside of Row 2. Graham has already won the pole position at both a street course and an oval this year, and like Marco he's already won a race in the IndyCar series. This will be his second attempt at The 500, a race you might recall his father has won. But another guy most people are forgetting about is Mario Moraes, who aside from bearing a striking resemblance to Joe Jonas has been exceptionally fast in practice this month. Joe, err, Mario is also 20, and he's turned some of the fastest laps in practice this week, leading many to think that KV Racing could be in line for their first IndyCar series win. Remember, the race is on ESPN, which is owned by Disney, which markets the bejeezus out of the Jonas Brothers, so if youth is to be served this year there might be a convenient conspiracy to blame. They still have to get by more proven drivers (or as Curt Cavin calls them "the five guys who can actually win the race"), but this trio of fast young men will be burnin' up the track this month with the the very real possibility of one of them going not just to Victory Circle but into the record books as well. I was so getting into this post then you HAD To bring those weenie bopper Jonas Brothers into it, didn't you? Geez, have we learned nothing from "South Park" and their "Expose" into the truth behind their popularity? Tony, I have a 9-year-old daughter so I'm practically obligated to mention them. 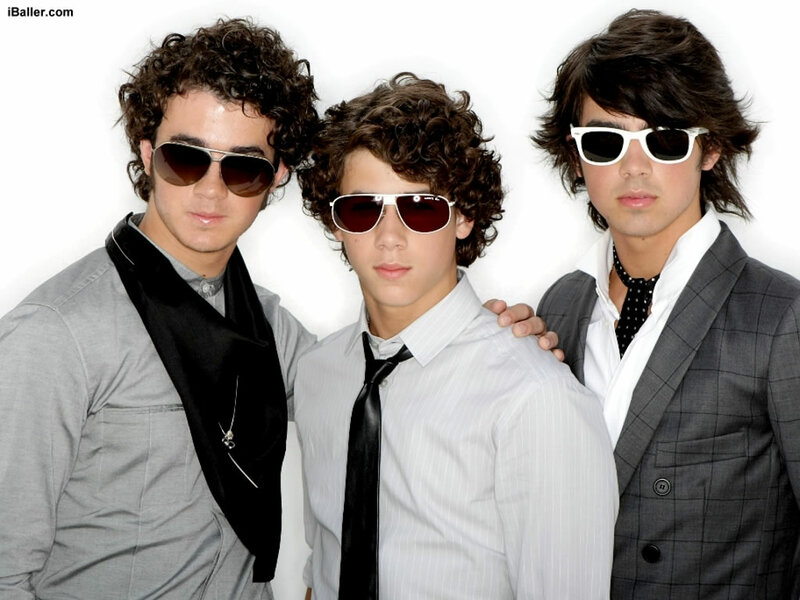 But not for the reasons you suspect, as they irritate her to the point she calls them "The Jonas Sisters". Good article. I hadn't actually thought of Ruttman's record falling this year, but you're right...it could happen. If it does, I'd be pulling for Marco. He's paid his dues, there. Rahal has run a total of 36 laps in competition there, crashing out last year and finishing dead last. Moraes was lucky to not take out half the field as he "led" a few laps on a restart.